Two different versions. The striped one I made for Sportswear Week. 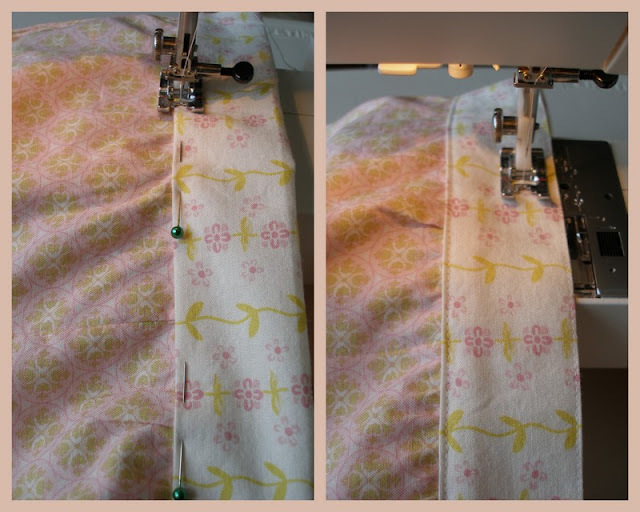 --Sew up shorts to the point of attaching waistband. 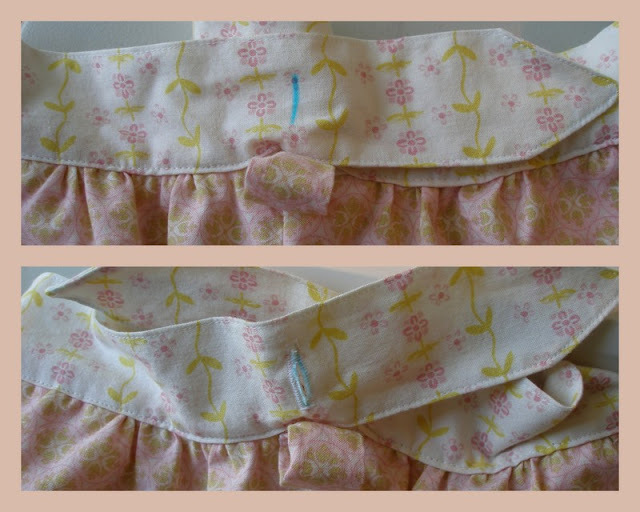 You can take any pattern and adjust it to this idea by measuring your child's waist. Divide that number in 1/2 (Front and back pieces). For back piece add 2 inches. For front pieces (one for each side of the bow), subtract 1 inch. If you are using a pattern that would normally have elastic all the way around, you might have to gather the front before attaching the pieces. --Attach back waistband piece. Make sure to overlap towards the front at the side seams. Iron seam out. --Fold down and iron seam allowance on other side of waistband piece. --Finish back casing by folding over and sewing from end to end. Make sure to top stitch for nice finished look. My daughter likes it when it "ruffles", so I use a smaller width of elastic and add a row of stitching to match the width of elastic. 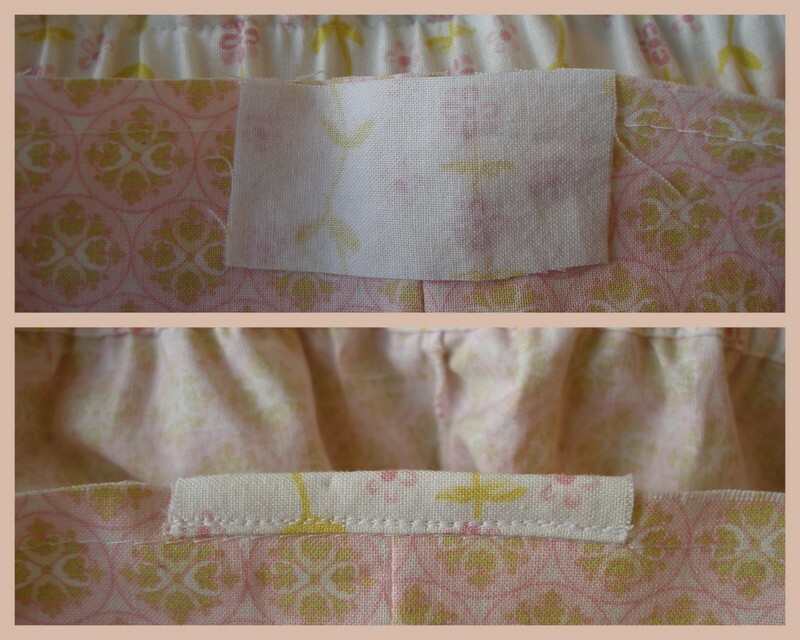 --Here's the finished look for the back waistband. See the ruffle created by using smaller elastic? --Take one waistband piece and sew point. Repeat with other piece. --Fold down and iron 1/4 inch at other end. --On the front of the shorts, create a little binding, just to reinforce the seam and where the bow will meet. --Attach one side of the bow. You only attach from the end to about 1/2 inch from the middle seam of the shorts. 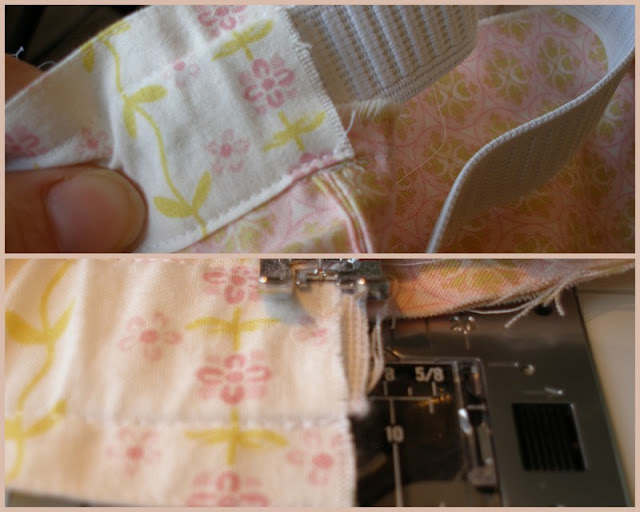 Make sure end encloses the back waistband piece. --Fold over and finish. Make sure to enclose the back waistband. Finish piece off about 1/2 inch from middle seam. 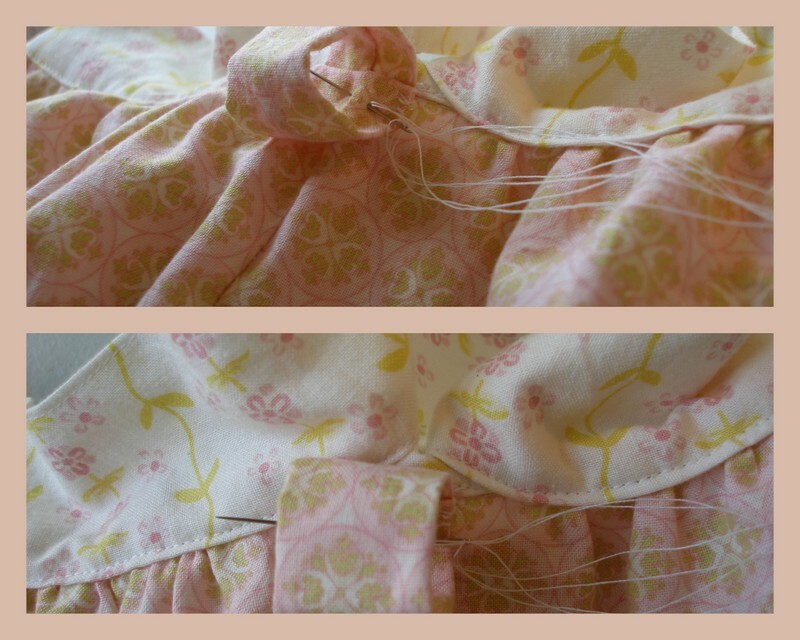 --Attach and top stitch. Start where bow separates with shorts and stitch around entire piece. --Create loop. 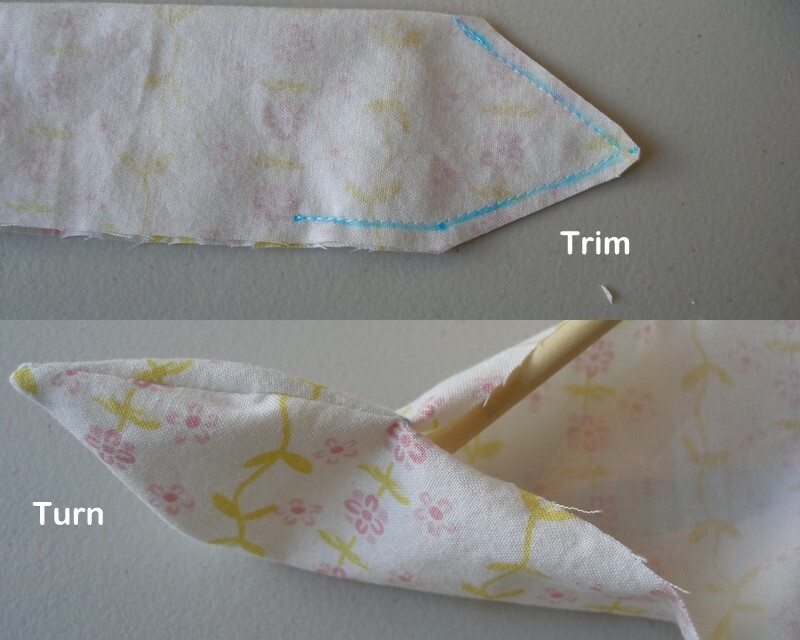 You can use ribbon if you want or create a tube of fabric, turn right side out and sew ends together. Attach to top of middle front seam. I've tried to use a machine for this step, but found it's just quickest to hand sew. --Mark spot for button hole to pull other side through. Make it right above middle seam. 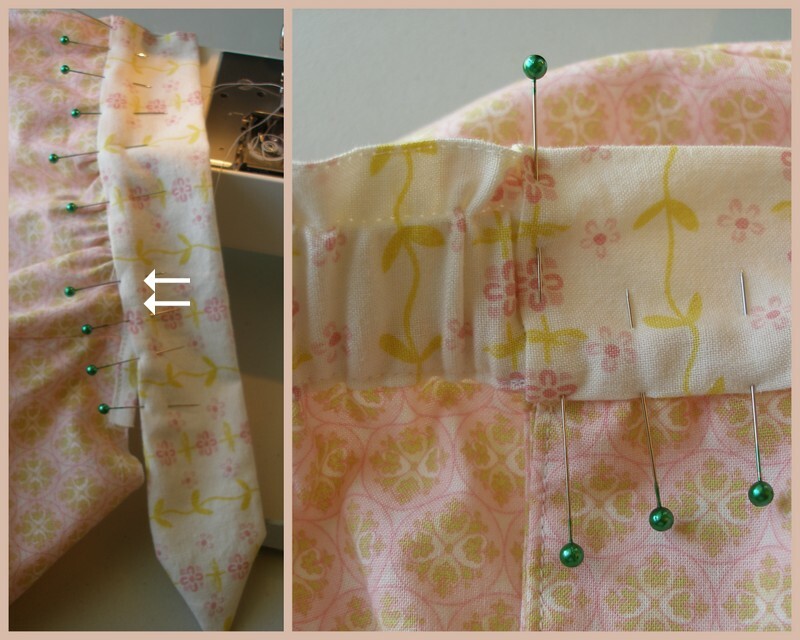 Make button hole length 1/2 the width of waistband--just make sure you center it. --Now you are able to pull other side to the front. Thread the piece with the hole in first through loop. Thread in other piece and pull through button hole as well. The loop hides the button hole. --You can use the same idea to make fun leg bands, you just have one piece that goes all the way around instead of two. To make the ties seen in the striped shorts, just make a point on both ends of a band that is twice as long as needed. Finish similar to the waistband. Here are 2 of the finished looks. Adorable! I love the little details. adorable! Love this idea, well done! These are cute! The button waistband is fab! These are darling!! What a fun waistband! Very very cool! I love to see someone making something new!